Back when I was on the faculty at Ball State University, I was cleaning some platinum foils that I was using in my research. I brushed them with ethanol and then put them in a flame until they glowed red hot. By accident (which is often the way scientific truths are discovered), I found that if I passed a platinum foil back over (but not into) the ethanol while it was hot but no longer glowing, it would start to glow red hot again. When I pulled it away from the ethanol, it would stop glowing, but if I put it near the ethanol soon enough, it would once again begin to glow. I was fascinated by this effect and played with it for quite a while. The next day, I was teaching chemistry to a class of gifted-and-talented high school juniors, and I showed them what I had found. Then I gave them the “explanation” for it. Platinum is a known catalyst, which means it tends to speed up a reaction without being consumed. In addition, alcohols are known to decompose into another class of organic molecules called “aldehydes,” and that happens quickly in the presence of the right catalyst. Thus, it was “obvious” what was going on: the platinum was catalyzing the decomposition of ethanol vapors into aldehyde vapors (specifically, acetaldehyde vapors), and the energy released by that reaction heated the already-hot platinum sufficiently to start it glowing red again. The students oohed and ahhed over the effect, and they dutifully wrote down my explanation in their notes. At the end of class, however, one of the students patiently explained to me that my analysis couldn’t be correct. You see, she had done something I hadn’t bothered to do. She used the appendixes in the back of her book to calculate the energetics of the decomposition of ethanol into acetaldehyde, and she found that the reaction actually absorbed energy. It did not release energy. Thus, it could not be heating the platinum! Needless to say, I was rather impressed with this young lady’s analysis. The next class period, I told all the students that I was wrong and that I would look into the real explanation. However, I couldn’t find anything in the chemical literature that was relevant. As a result, I asked the young lady if she would work under my NSF research grant that summer and figure out what was really going on. She was surprised that I thought she could figure something like that out, but she said she would be happy to try. Why am I telling you this story? Because a friend of mine alerted me to an article that brought it all back to me in vivid detail. The news story focused on ten-year-old Clara Lazen of Kansas City, Missouri. In her Montessori school (a school that emphasizes student independence, freedom to explore, and respect for a child’s individual development), she was being taught the basics of how atoms bond to make molecules. In certain molecules (technically called “covalent” molecules), the atoms share electrons so they each attain an energetically stable state. The shared electrons make a chemical bond, and this kind of bonding can be represented using special molecular modeling kits. The kits have balls with different numbers of holes in them. Some of the balls in the kit, for example, have four holes in them. They are generally black, and they represent carbon. When carbon has four bonds, it is energetically stable. Other balls have two holes, and they are typically colored red. These balls represent oxygen, which is stable when it has two bonds. Other balls have three holes, and they represent nitrogen, which is stable when it has three bonds. The teacher told the students to try to build molecules using their kits. He said that any molecule in which all the holes were filled would represent a stable molecule, because each atom would have a stable arrangement of electrons. This is, of course, an oversimplification, but then again, he was teaching ten-year-olds. Well, Clara started building molecules, and she came up with one that was really interesting. It is pictured in the drawing above. She showed it to her teacher, who took a photo of it and sent it to a friend of his, Dr. Robert W. Zoellner, who is a chemistry professor at Humboldt State University. Dr. Zoellner searched the chemical literature but found no reference to the molecule. As a result, he did his own theoretical analysis of the energetics of the molecule and decided that it was, indeed, stable. Theoretically, it should be possible to make the molecule. 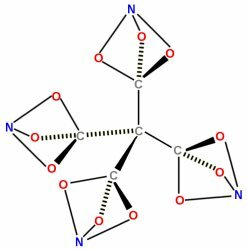 In the end, Dr. Zoellner published a paper about Clara’s molecule (and other molecules in the same class) in the Journal of Computational and Theoretical Chemistry.2 Clara and her teacher, Kenneth M. Boehr, are co-authors on the paper. It turns out that based on the energetics of the molecule, it could be used in batteries or even explosives. As a result, Dr. Zoellner is trying to find someone to attempt to synthesize the molecule. Now of course, it’s really cool that this ten-year-old is already an author on a scientific paper. When the paper my high school student was lead author on got published, I told her that she was way ahead of the game – I hadn’t published my first scientific paper until I was 23. This elementary-school student is even further ahead! However, I think the most important message here is that students (even very young students) have the capability to do amazing things. You just have to allow them to explore their interests independently, and you have to allow them time to be creative. I think this is one reason home education is so effective – it emphasizes both student independence and creativity. Let these two stories be a lesson to anyone out there who is involved in education. Allow your students the time and resources to explore their interests in their own way. You never know what they might end up discovering! 1. Danielle L. Coffing and Jay L. Wile, “The platinum-catalyzed decomposition of methanol: A deceptive demonstration,” Journal of Chemical Education 70 (7):585, 1993. 2. Robert W. Zoellnera, Clara L. Lazen, and Kenneth M. Boehr, “A computational study of novel nitratoxycarbon, nitritocarbonyl, and nitrate compounds and their potential as high energy materials,” Computational and Theoretical Chemistry 979:33–37, 2012. Over the years, I’ve had several students who made me feel like that, W. Brown! Maybe I should be more worried about the “science experiments” that my scientifically inclined 8 yo sister leaves around the house. She might discover a new explosive. Composed primarily of kleenex of course. Now that would be a very interesting (and somewhat gross) explosive, Grace! Dr. Wile, thanks for sharing this story. May I ask if you are currently teaching any classes? My gifted young scientists would love to learn from you in person! Thanks for your comment, Tana. I am not currently teaching any classes for home educated students. 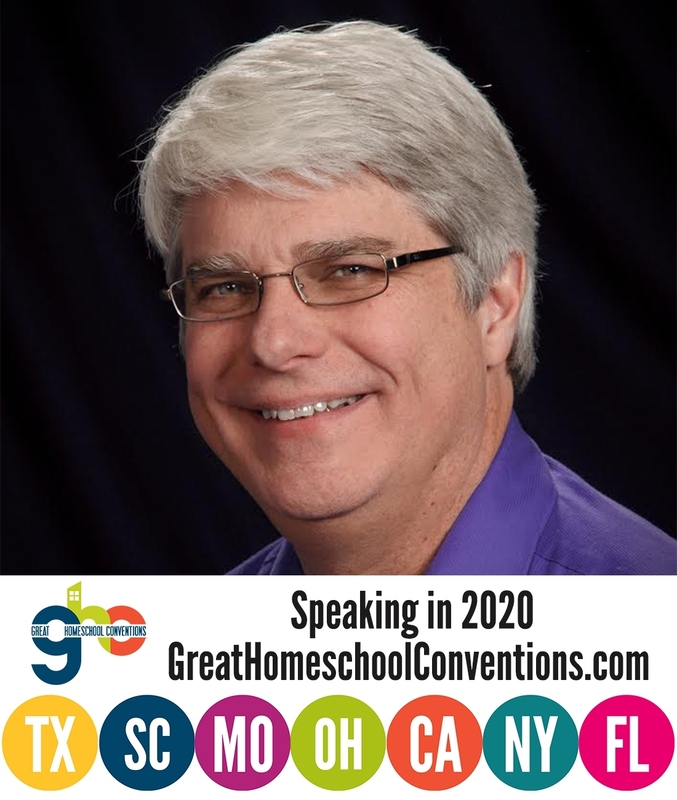 Because I sold the company I used to own a few years ago, I am a bit restricted on what I can do in the U.S. home education community. I am, however, writing an elementary science course right now. When I am able, I will make that available in the U.S. It is already being field-tested in non-U.S. countries. Jay – Since you mentioned interesting things that happen in chemistry, here is an interesting article that was conducted on the auditory hazards of the common nickel-balloon inflated with hydrogen. Unfortunately, it is a pay-to-read article. The gist was that chemistry instructors and students (in the front rows) could be at a risk of hearing impairment due to the high level explosion when igniting balloons. Ah well, nothing like taking the fun out of a great demonstration. That’s interesting, Bill. I stopped doing the hydrogen/oxygen balloon explosion because it disturbed other classrooms. It is a great demo, however, and it really shows how important mixing is to the kinetics of a reaction.